Thank you Kyle for treating me with respect and kindness. Your professionalism answered all of my complicated questions. Also, I appreciate you always being very patient with me. Thank you for all of your help and keep up the awesome job! Alegria Registration Services provides registration services for Montana Capital Car Title Loans customers. 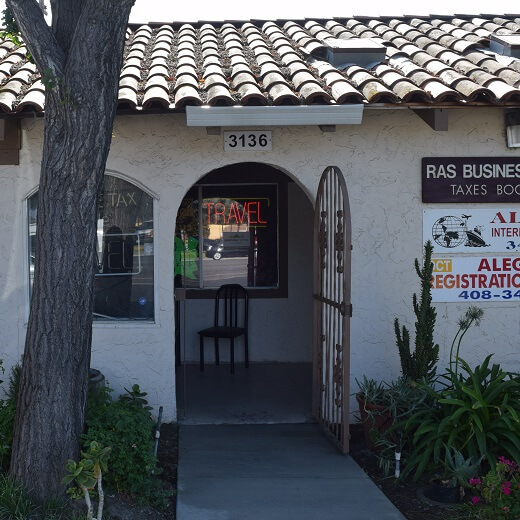 The store is located at 3136 Story Rd Suite 2, near the intersection with Griffith St. 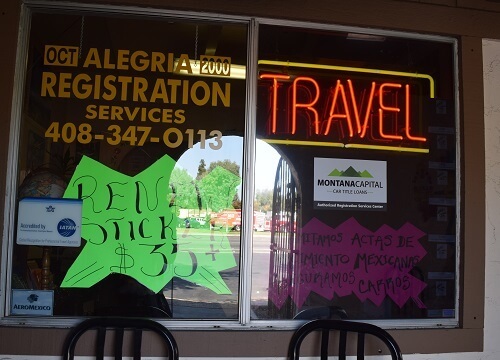 If you live in San Jose and in need of registration services, stop by Alegria Registration Services that works with Montana Capital Car Title Loans in San Jose. Alegria Registration Services provides our clients with unmatched customer service. Hopefully if you live in San Jose, CA, you are able to take advantage of the high tech bubble that runs the economy. Because as one of the most expensive cities to live in, you’re going to need the money! If you get behind on your bills in San Jose, you can quickly find yourself in deep trouble. Your best bet would be to always pay your bills on time, but if you need a little cash help to be able to do that, we might be able to help you out. At Montana Capital Car Title Loans in San Jose we help others just like you who need a little kickstart to get on their feet again. If accepted for a car title loan, you can use the money for any need that you have. Send us an online application or contact us for more information about how we can give you quick cash with one of our pink slip loans. 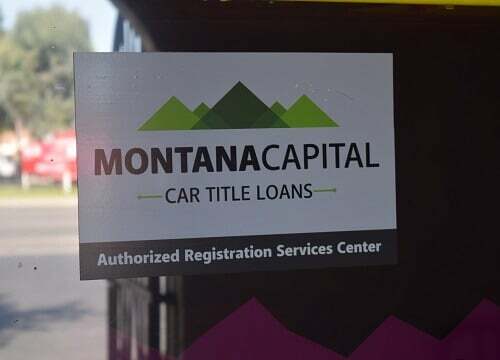 To use your car as collateral for a car title loan at Montana Capital Car Title Loans in San Jose, we need to know that you’re the owner of your car and check its value. We’ll also make sure you can make loan payments and you fit into our credit criteria. If yes, then we will contact you to complete the process. Even applicants who have reached a bad credit score can apply for a car title loan, since they depend mostly on the value of your car. Approved applicants for car title loans from Montana Capital Car Title Loans in San Jose can still keep their car. We’ll only need to put our name on your car title. San Jose, CA has become known as an innovative and international city. It is smack dab in the middle of a growing high tech industry and is one of the nation’s wealthiest cities. In fact, the residents of San Jose claim the world’s third place in terms of the highest GDP per capita. Some of the major international companies have chosen to locate in the area, such as Cisco Systems, Cadence Design Systems, Adobe Systems, PayPal and Samsung. They are third to Zurich and Oslo. It has earned the nickname of “Capital of Silicon Valley” and is a political, economic and cultural center. Some of the most expensive houses in the US are found in San Jose.